Autism is a neurobehavioral condition that has been dramatically on the rise in the last decade. There are many factors that contribute to its causes, but none so pervasive as gut bacterial imbalance. To see the connections, you first have to realize that our brain development is heavily influenced by the interaction between our gut bacterial symbionts, our immune system, and those little cell organelles that produce energy-known as mitochondria. 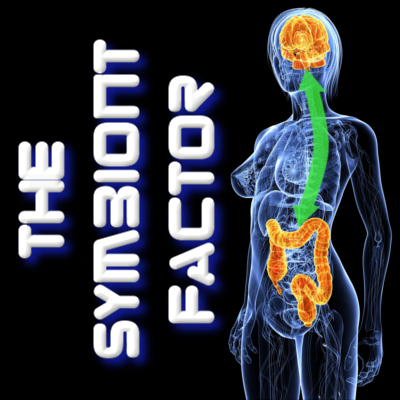 I explained at length how the gut bacteria influence brain development in The Symbiont Factor; in short there are many pathways for influence including gut bacterial alteration of Brain Derived Neurotrophic Factor or BDNF. This substance is necessary for proper nerve growth and development, and a deficiency or imbalance in gut bacteria results in a reduced level of BDNF. New research has shown another factor in brain development, Short Chain Fatty Acids or SCFA. This substance is produced by bacterial fermentation of carbohydrates (sweets, essentially!) Eating too many carbohydrates results in increased populations of the gut bacteria that thrive on sugars, including Clostrida, desulfovibrio, and Bacteroides. When these bacteria ferment carbs, they produce high levels of SCFA including propionic acid which is one SCFA. Propionic acid is also a common food preservative in prepared foods, so read your ingredients and eat organic as much as possible. New research has shown that high propionic acid levels interfere with mitochondrial function, reducing the energy available for nerve cell function and producing ASD. It is important to understand that some of the organisms that produce propionic acid are not necessarily pathogens; more like “frenemies” in this case (see Jerry Seinfeld; friend + enemy, and a good laugh too) Establishing and maintaining a microbial balance is really a more accurate way to state the goal. The overuse of vaccines and antibiotics in children, combined with chemicals in packaged food and toxins in farm-raised food are all factors that conspire to imbalance our gut bacteria. It is worth noting that reduced mitochondrial function also results in elevated oxidative stress, which is the neuroinflammatory/degenerative process that drives many diseases from fibromyalgia or chronic fatigue syndrome to Parkinson’s, dementia, and aging in general. Significant variables that we can influence include diet (less sweets, more organic fruits and veggies and organic grassfed meat; organic Paleo diet essentially) and behavior. Pushing ourselves past the point of fatigue, or allowing small children to stay “in overdrive” too long with video games and sweets, causes more bacterial imbalance and neurologic dysfunction. Many supplements, from Curcumin and probiotics with Lactobacillus and Bifido species, to fermented foods and drinks such as GoodBelly and Lifeway Kefir, can help to build and maintain healthy levels of gut bacteria and give our kids the best chance possible of good health and function. The next time a stranger at the bank drive through offers your child “a sucker”, consider the potential effects of regular sugar ingestion on a child’s microbiome and brain function. Really! This entry was posted in Uncategorized and tagged asd, autism, autism spectrum, fermented foods, GoodBelly, gut bacteria, gut brain axis, kefir, Lifeway, low-carb, oxidative stress, paleo, paleo diet, Paleolithic, probiotics on June 6, 2015 by Dr. Richard Matthews. Nice one Doc! The big picture so influenced by microbial health. Keep thinking of the climactic ending from the Tom Cruise movie “War of the Worlds” where the war being lost on a grand scale turns around courtesy of the microbial world….